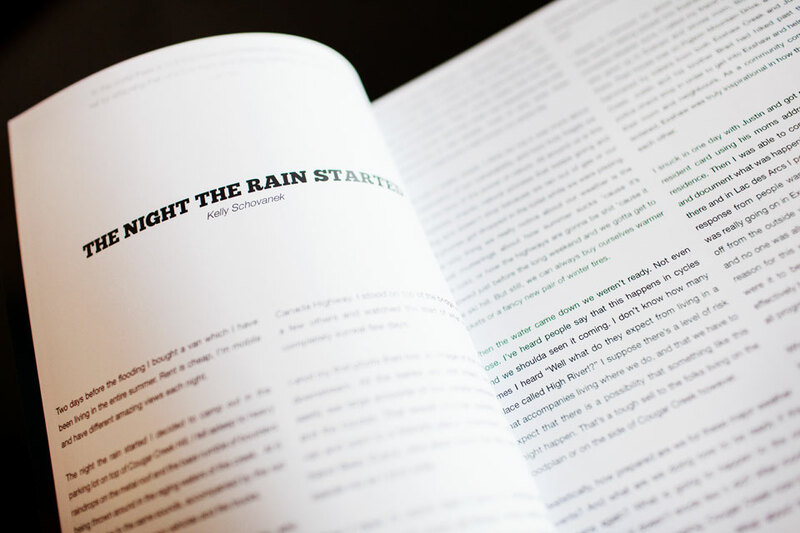 Perfect bound 72 page magazine. 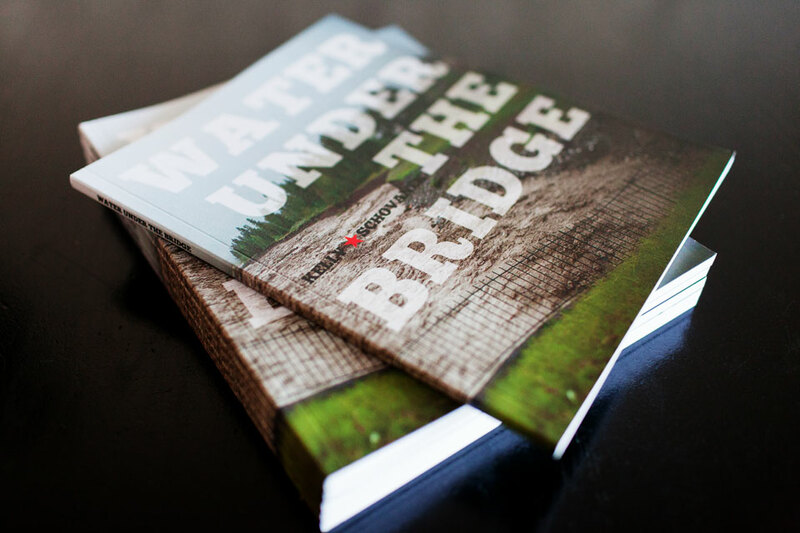 Printed in Canada. 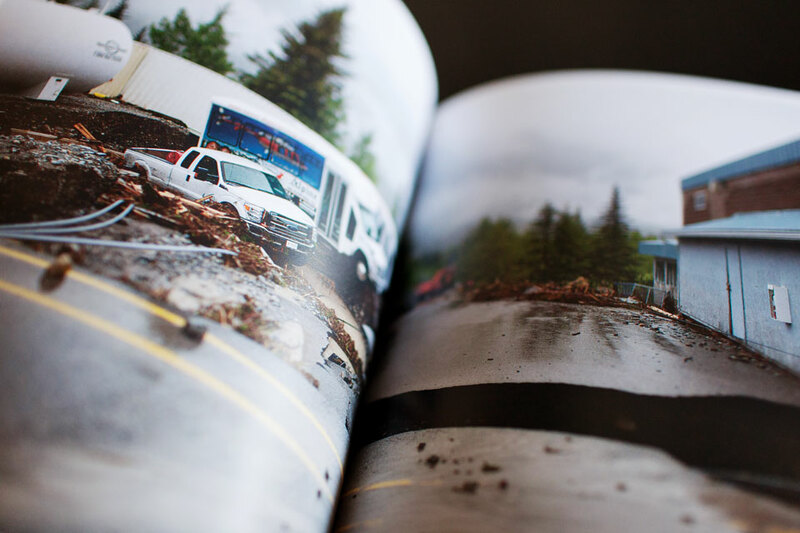 This magazine is Kelly Schovanek’s documentation of the the Alberta Floods of 2013. 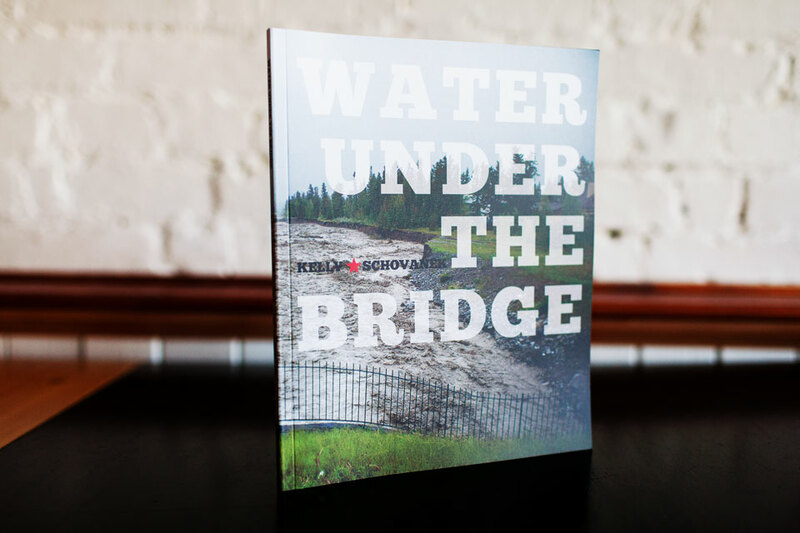 Containing forwards from the Mayor of Canmore and Kelly himself, it incorporates photographs and social media updates as the flooding occurred along with commentary on many of the photographs. The night the rain started I decided to camp out in the parking lot on top of Cougar Creek hill. I fell asleep to heavy raindrops on the metal roof and the bass rumble of boulders being thrown around in the raging waters of the creek. At 6 a.m. I awoke to the same sounds, accompanied by the red flashing lights of emergency vehicles and fire trucks. There was a text on my phone from my friend Jay, who was on the bridge watching the water. It read “Hey man. Don’t know if you’re in your van but you should come up and move it.” I got out of my van and took a piss in the washrooms that are there for the hikers that use the parking lot as a trailhead when hiking up the canyon. A few hours later the outhouse was somewhere down by the Trans Canada highway. I stood on top of the bridge with Jay and a few others and watched the start of what would be a completely surreal few days.